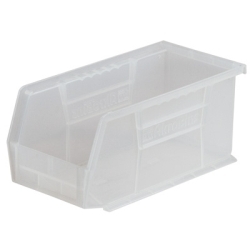 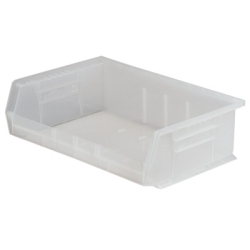 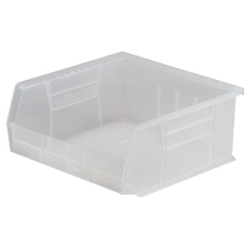 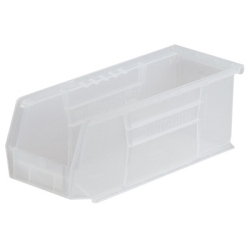 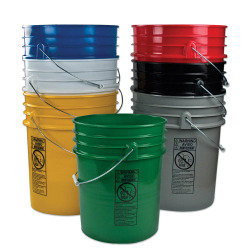 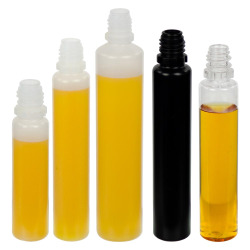 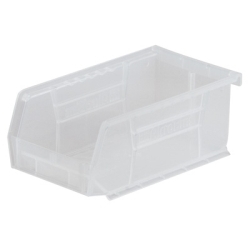 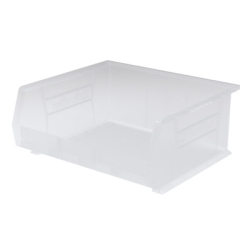 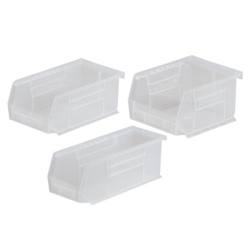 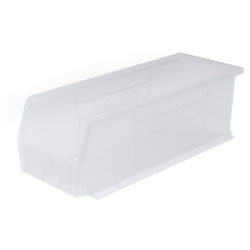 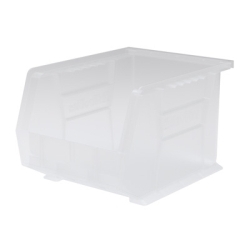 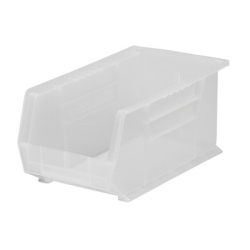 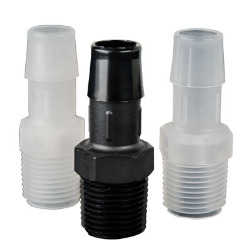 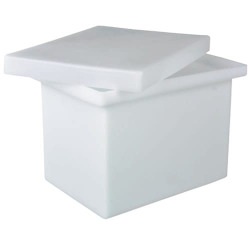 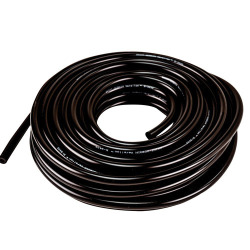 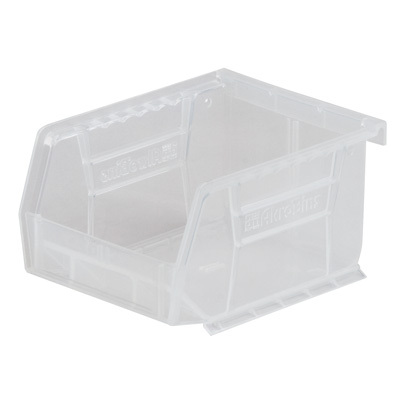 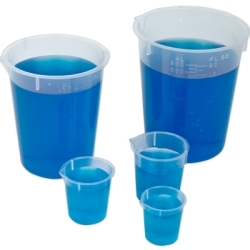 5-3/8"L x 4-1/8"W x 3"H OD Clear Storage Bin | U.S. 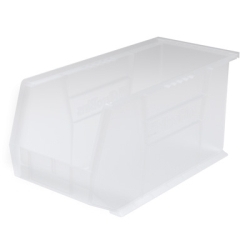 Plastic Corp.
Can be suspended from louvered panels. 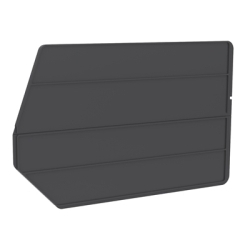 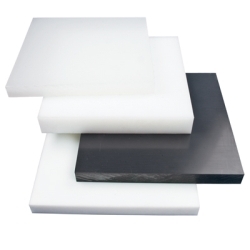 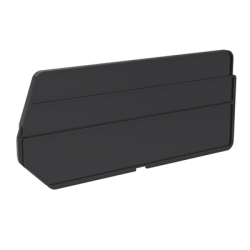 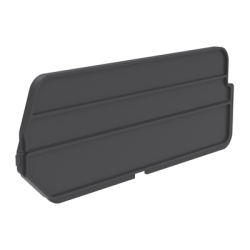 Extra wide stacking ledge assures stability, allows for high stacking. 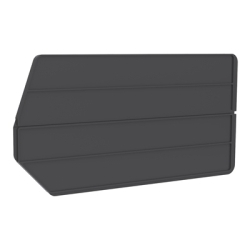 Large label card slot for easy labeling. 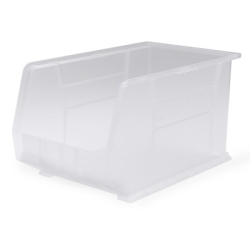 Reinforced ribs prevent bins from spreading. 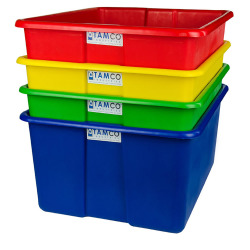 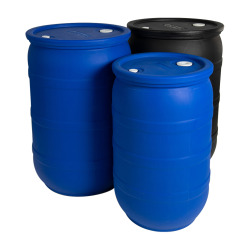 Finger grips for easy handling of larger bins. 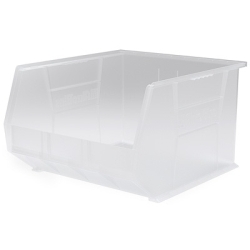 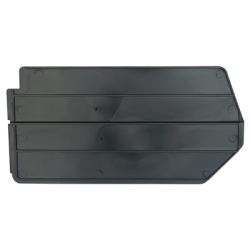 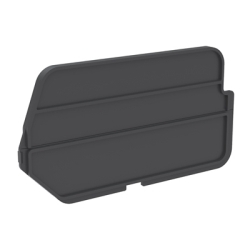 Anti-slip stop prevents loaded bins from shifting forward.